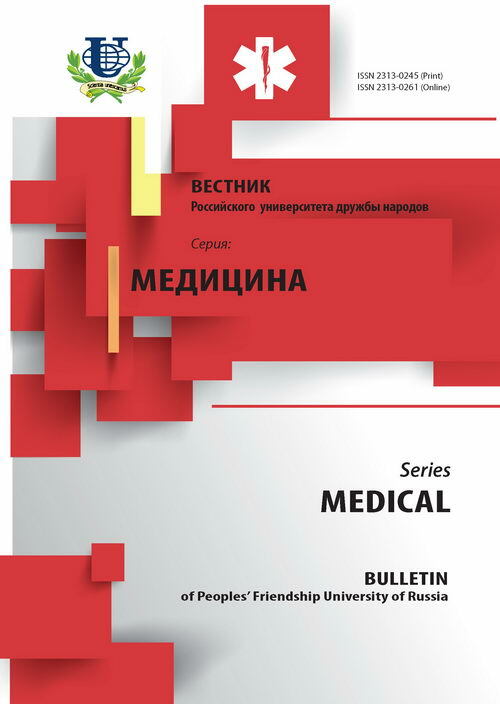 Authors: Ogurtsov P.P., Polikarpova T.S., Garmash I.V., Arisheva O.S., Guschin А.E., Tarasenko E.V., Myandina G.I. 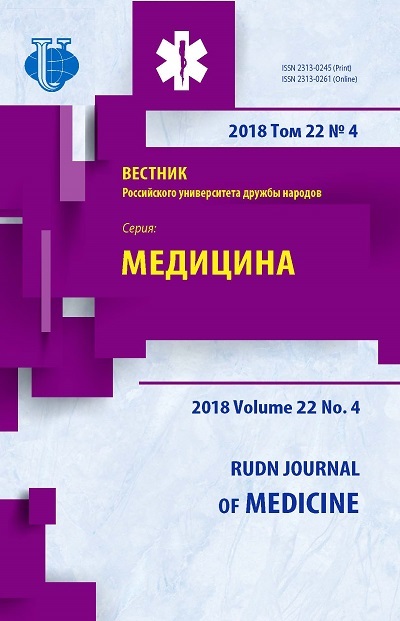 The reason: duplicate publication (Journal of Scientific Articles Health and Education in the XXI Century. 2012. V. 14. No. 2. P. 140-141). Aim: to detect the genetic factors predisposing alcoholic liver lesion. The main candidate genes of high risk are isoforms of adh and aldh genes which are responsible for different level of alcohol metabolism and oxidation of ethanol and acetaldehyde. Our results demonstrated that allelic variant adh2-2 is observed more frequently in patients with alcoholic liver damage than in population (16% vs. 7%; p < 0,05). The polymorphism t174m of angiotensinogen gene AGT was investigated as one of the risk factor of alcoholic liver lesion. The allelic variant m of angiotensinogen gene AGT is more frequent (15.8%) in patients with alcoholic liver cirrhosis and alcohol abuse without cirrhosis (n = 98) than in population (6.7%, n = 52; p = 0.04). The highest frequency of allele m was in a group with alcoholic liver cirrhosis (17.3%; p = 0.058). Our data provides the evidence that polymorphism t174m of AGT gene does not influence the progression (clinical picture) of alcoholic liver cirrhosis, except the level of GGT, which is increased in patients with homozygous genotype tt. alcoholic liver cirrhosis, alcoholdehydrogenase, polymorphism adh2, polymorphism t174m, angiotensinogen gene AGT, the renin-angiotensin system. Copyright (c) 2012 Огурцов П.П., Поликарпова Т.С., Гармаш И.В., Аришева О.С., Гущин А.Е., Тарасенко Е.В., Мяндина Г.И.